For four hours I hurried forward… and in all that time I was never out of hearing of the groans and cries… Many of the wounded in the wagons had been without food for 36 hours. Their torn and bloody clothing, matted and hardened, was rasping the tender, inflamed and still oozing wounds… From nearly every wagon… came such cries and shrieks as these: ‘Oh God! Why can’t I die’! ‘My God! Will no one have mercy and kill me!’ ‘I am dying… My poor wife and children, what will become of you’? 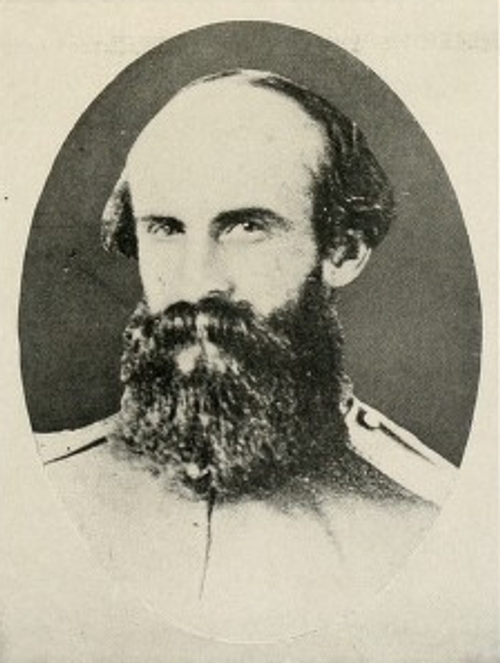 This entry was posted in Battlefields & Historic Places, Battles, Medical, Personalities and tagged A Sharpshooter’s Postscript to Gettysburg, Gettysburg, Gettysburg retreat, John Imboden, Medical, William "Grumble" Jones, Williamsport, wounded. Bookmark the permalink. While I appreciate the refresher on the retreat from Gettysburg, I think that the title of this group of articles is misleading. I was looking for some fresh perspective from a new source (Marden the sharpshooter) on the retreat– it was mentioned in part 1 that there were 47 pages of unpublished letters that subsequent posts would “draw heavily” on– and parts 1 and 2 had brief snippets–yet in parts 3, 4 and 5 there is nothing from Marden. Hoping that subsequent posts will include more from Marden! Your point is well taken, Greg. And I will be sharing a lot more of Marden’s experience and perspective, especially in Part 7 and what follows that, up to the fighting at Monterey Pass in Virginia. As this series developed, I gravitated into examining the retreat and the powerful stories involving and honoring the experiences of others– both Union and Confederate soldiers. Since both my great grandfather and great uncle suffered through long wagon rides to DC hospitals, this well-written article served not only to appreciate the sufferings of the Gettysburg wounded but those of my relatives. Thanks so much for your comment. One of my hopes in writing in this blog is to underscore the human costs of war and the extraordinary physical suffering of the wounded, both from combat wounds as well as illness and contagious diseases. My great grandfather witnessed and wrote about the suffering he witnessed of wounded on the battlefield and within the hospitals he visited– to visit with Union soldiers and on at least one occasion wounded Confederate prisoners– which I plan to examine in future blog posts. Well done! Lee comes in for a lot of criticism considering his dead & wounded at G’burg, just as Meade comes in for his share about not following Lee immediately. I think both men did the best they could, considering their armies were shot to bits, the weather was terrible (something that, I feel, never gets the respect it deserves as part of battlefield decisions! ), there were simply not enough doctors for a mega-casualty such as that battle–my God! Those men–ALL of them–did their best. 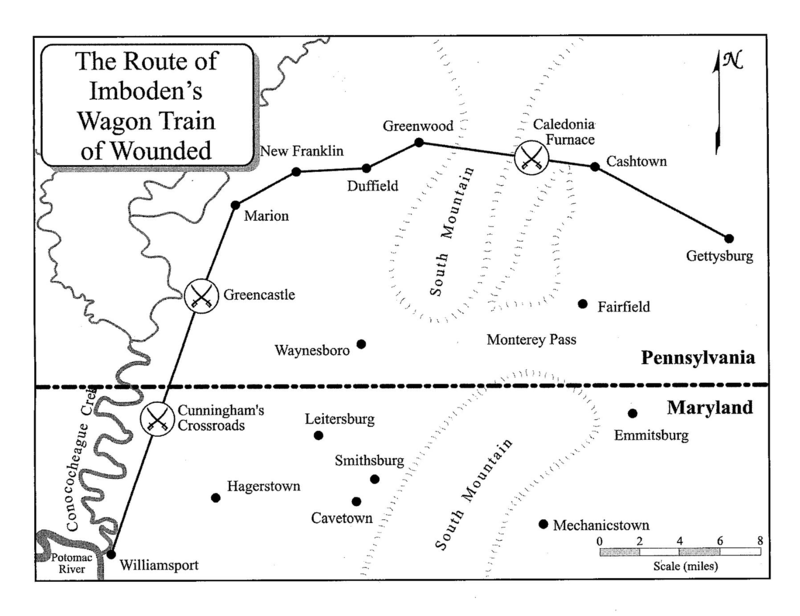 Just as one’s heart is in one’s mouth during the aerial crane shot of the wounded in Gone With the Wind, my heart is broken reading about those terrible wagons of wounded soldiers leaving PA as quickly as possible, dying in droves because of . . . well . . . just dying in droves. The immediate aftermath of Gettysburg is one of the saddest times for both armies. Alas, the price of victory. Well said Meg. You make excellent points. And the weather! It’s hard to wrap one’s mind around what it must have been like wearing the same wool uniform day after day on 10, 20 and even 30 mile marches day after day and heat, rain and mud on those spring and summer campaigns, then fighting for one, two or three days, then marching off again. Is this part of a larger, published work? We like to collect all works that include cousin John.